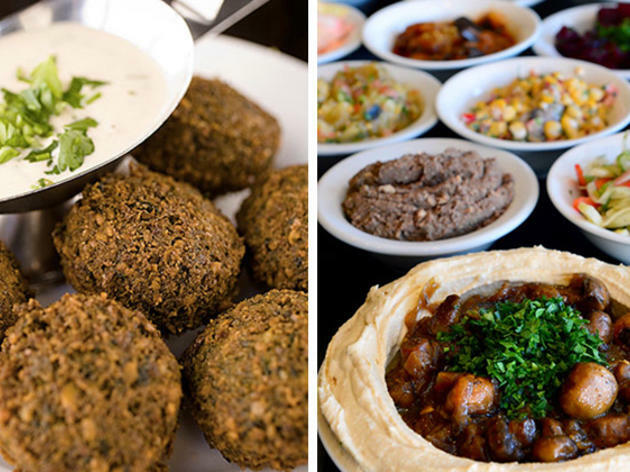 When you first enter Hummus Bar and Grill, it feels like you've just walked into a restaurant in Tel Aviv. Located in the Tarzana Village Shopping Center, the sprawling space features inexpensive, high-quality Israeli food, including their famous housemade hummus in seven different varieties. Start with an order of the assortment of house salads ($6.99 with an entrée, $10.99 without), which includes a sampling of Israeli coleslaws, babaganoush, eggplant salads and more. 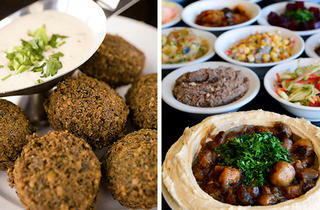 Pair the salads with an order of the falafel plate ($6.99), featuring six falafel balls with tahini sauce. Grilled fish, chicken, beef and lamb are all on offer as well. There's even a Kosher section on the menu for the observant. Not looking forward to the trek to Tarzana? The restaurant offers delivery and catering as well.